Explore the most popular trails in Shirley Marina Co Park with hand-curated trail maps and driving directions as well as detailed reviews and photos from hikers, campers and nature lovers like you. This map is misleading and needs to be updated to account for the inlet caused by Hurricane (Superstorm?) Sandy in 2012. 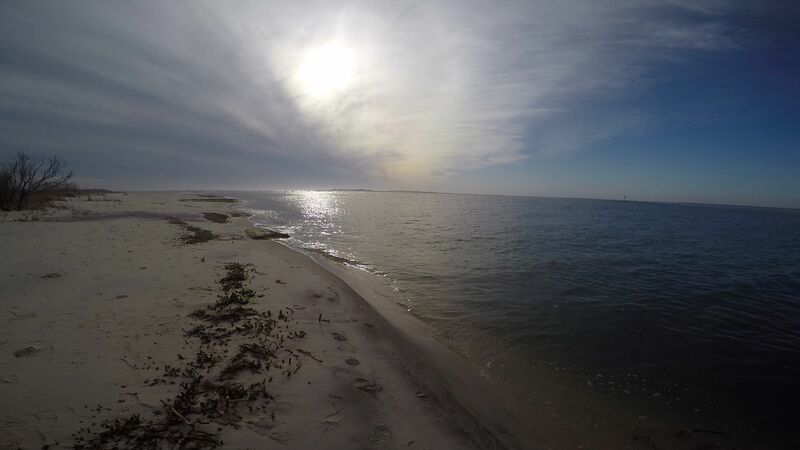 Prior to that, there was a time when you could hike from Fire Island ranger station at Smith Point to Watch Hill. Not anymore. This straight line hike ends 2 miles west of the ranger station. Stay close to the beach to avoid ticks. Lots and lots of ticks. And one piece of obvious advice: don't even try to cut across the new inlet. Hard-packed sand makes for easy walking. Lots of cool rocks on the beach. You can only go out for around two miles before getting to the breach. There are actually signs saying that wading and swimming in the little channel that separates the islands is prohibited. So even if you're an Olympic-caliber swimmer, not supposed to do it. 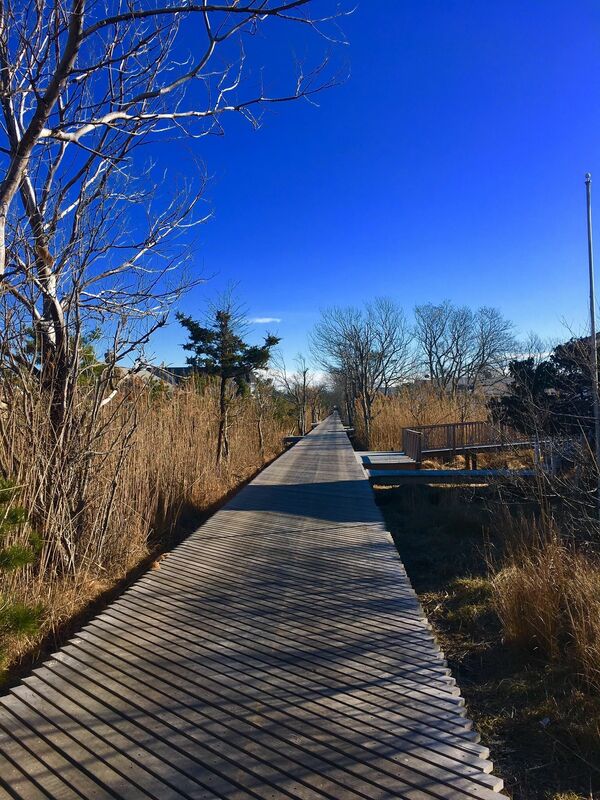 This is an easy walk about 2 miles to the new inlet the Hurricane Sandy opened - best done in late fall or winter due to the tick population - high dunes have been leveled by the hurricane and subsequent N'oreasters that come through every season - the area is undergoing a lot of change. I hike here every winter and there are times the trail is not passable due to washovers from the ocean - usually before or after a N'oreaster or lunar high tide. There are many areas to explore from the bay side marshes to the ocean. I've seen Fin Whales blowing in the ocean at times and there are also Humpback Whales that can be seen from the beach if you're lucky. You can only walk 2 miles in from Smiths Point. There is a break in the land with a strong current so you cannot walk or swim to the other side but this map shows you can. You cannot. Call before you go. We were strongly discouraged by the folks at the wilderness center from going on the trails or into the dunes because of way too many ticks. Nice walk on the beach to the breach caused by Hurricane Sandy. 1.7 miles out and 1.7 back. The dunes are not very high. Don't know if this was because of Sandy, but not high at all. Nice quiet walk on a mostly empty beach. Beautiful scenery and great wildlife. Came across 2 foxes and 2 does at random points.